Manufacturer direct to consumer price. Board, paddle, pump, fins, leash, and backpack! 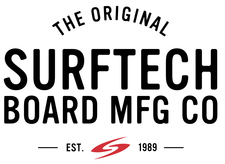 SAVE UP TO $500 ON ALL RED and SURFTECH INFLATABLE BOARDS ! We have just become a RED Paddle Co Dealer ! For a decade we have been very pleased to offer our customers an unprecedented selection of boards, paddles and accessories. With the largest selection of Surftech in the region, we are super stoked to add RED Paddleboards to our lineup! Our knowledgeable, experienced staff will ensure you make a well informed decision in purchasing the right board for your lifestyle! Don't see it on our site, we can get it for you. Special orders... no problem! We sell the toughest, most stable and ridgid inflatables on the market today! 3 very stable and durable shapes for all of your recreational or travel adventures. Includes back pack and high volume pump. The #1 selling board design in the world! Stable, durable and affordable. Flatwater, ocean or yoga, this board does it all! Available as soft top, with full EVA foam deck pad. 10'6" x 32" x 5" or 11'6" x 32" x 5"
Please note all sales are final. Sorry no refunds or exchanges.